Nowhere is the mingling of past and present more evident than in United Arab Emirates' cosmopolitan city of Dubai. Gleaming skyscrapers and shopping malls jostle for position with Arab souks, mosques and wind towers in the most well known of the seven individual Emirates that make up the country. Pristine sandy beaches and warm blue waters await you on your holiday in the UAE. Shop to your heart's content in one of the largest gold souks in Arabia. Experience the thrill of dune driving or camel riding, play on one of Dubai's world-class golf courses or sail away on a dhow cruise. 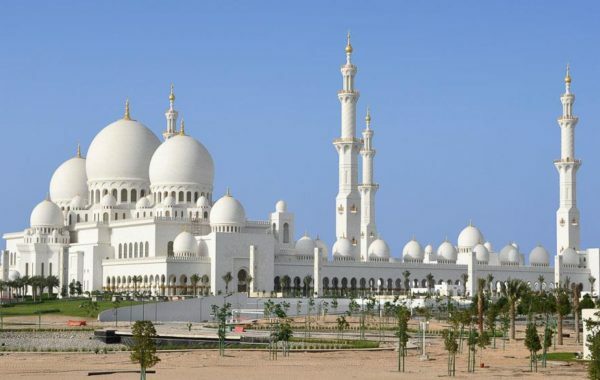 Include Abu Dhabi during your holiday in the UAE and discover uninhabited islands off the coastline or the dramatic desert, mountains or wadis on a safari. All our journeys are individually tailored to suit your needs and timescale. However, most visitors spend between 2 to 4 nights either in transit to another destination or just for the sheer fun of visiting the UAE. EXPLORE OUR HOLIDAY IDEAS FOR UNITED ARAB EMIRATES. Our tailor-made holidays are designed to offer complete freedom of choice. The itineraries featured are designed to give you a flavour of your chosen destination and can be tailored to suit your preferences. If you have a particular trip in mind that is not featured here, let us design a holiday around you, to match your interests, tastes and budget, and created with an absolute commitment to quality.